Diplomatic Forum “United Nations International Day on the Total Elimination of Nuclear Weapons” by H.E. 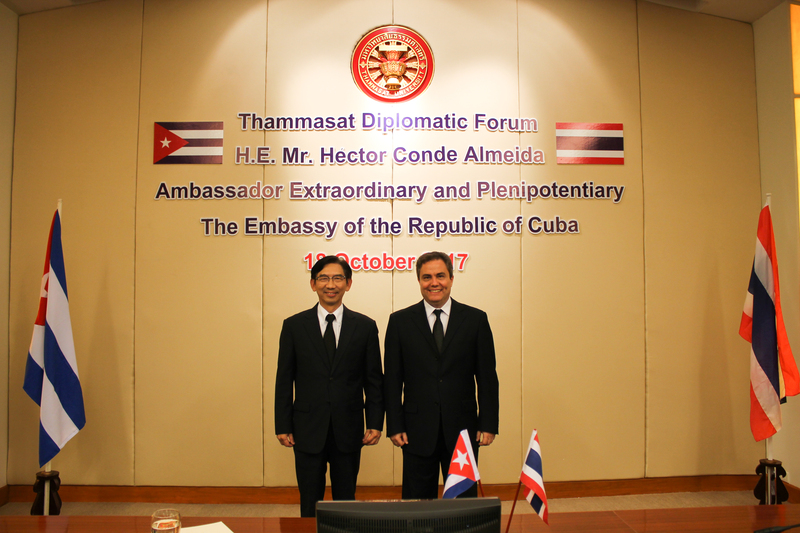 Mr. Héctor Conde Almeida, Ambassador Extraordinary and Plenipotentiary The Embassy of the Republic of Cuba on 18 October 2017 at Sanya Dhramasakti Conference Room, 2nd floor, Dome Building, Thammasat University, Tha Prachan. 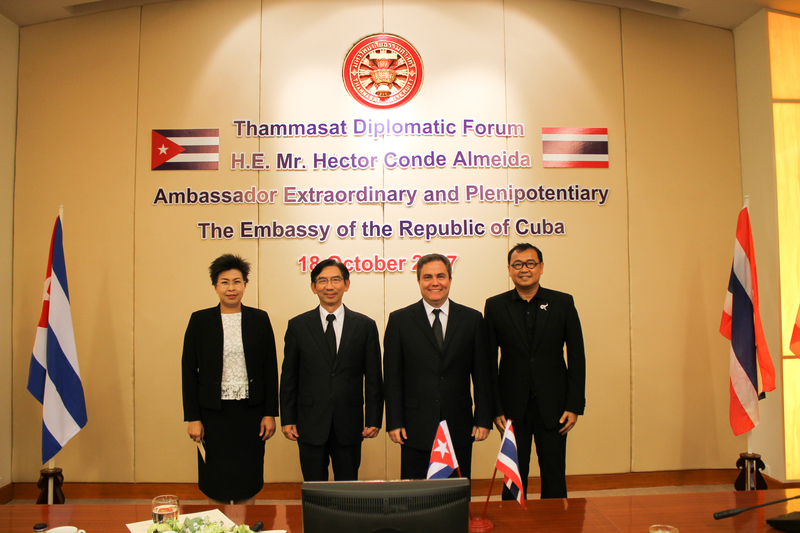 On 3 December 2015, Thammasat University held " The Diplomatic Reception " in order to Thank you to the Embassy for the academic cooperation and mutual understanding and strenghtening relationship. The Rector and Vice Rector for International Affairs , and Dean of Pridi Banomyong Int'l College welcomed the H.E. 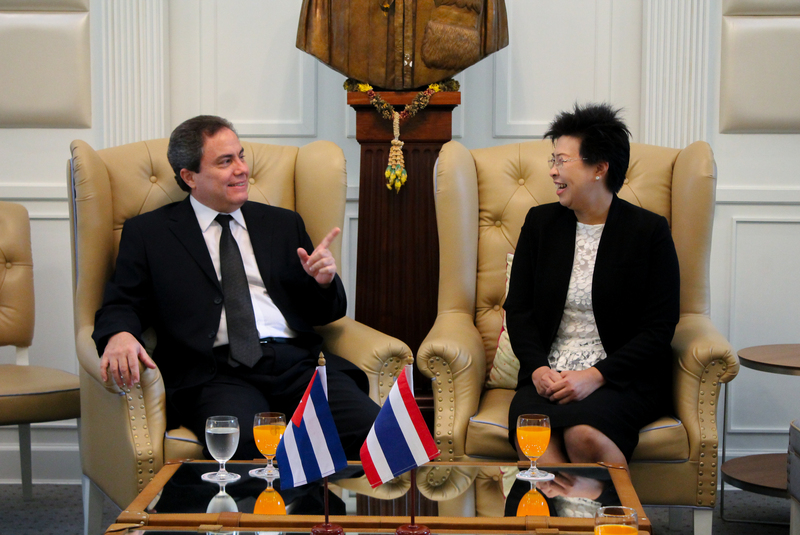 Mr. Harsh Vardhan Shringla ,Ambassador of India to Thailand to Thammasat University , Tha Prachan on 11 Sepetmber 2015. Thammasat Diplomatic Forum " Education in United Kingdom " by H.E.MR.Mark Kent , British Ambassador to Thailand on 9 Feb 2015 , Thammasat University, Tha Prachan.